Smile! It costs you nothing. It is considered to be a significant aspect that defines one's personality. A smile is one of the most used human facial expressions. It uses between 5 -53 muscles in our body. Many psychologists have proved that smiling is contagious. People have difficulty frowning when they look at other subjects smiling, as the muscles twitch into smiles all on their own. 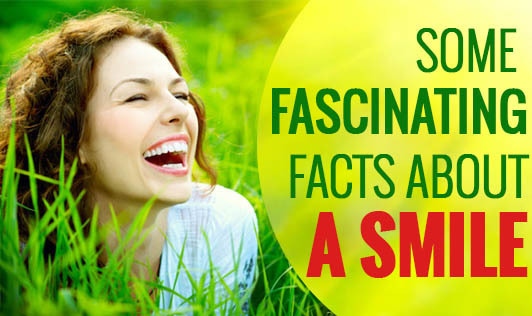 So, now we can look into some more fascinating facts about a smile. It's a universal sign of happiness. We know the famous adage "laughter is the best medicine." While handshakes, hugs, and bows may all have different meanings amongst varied cultures, smile is known around the world and in all cultures as a sign of happiness and acceptance. A smile can boost our mood. Psychologists have found that even if we are in a bad mood, we can instantly lift our spirits by forcing ourselves to smile. It enhances our immune system. It is indeed no surprise that our body is more relaxed when we smile and this contributes to good health and a stronger immune system. Smile helps to relieve stress. Our body immediately releases endorphins when we smile. This sudden change in mood will help us feel better and release stress. It is an easily recognizable facial expression. Studies have shown that people can recognize smiles from up to 300 feet away, making it the most easily recognizable facial expression. A smile can win over attractive makeup. It helps us stay positive. We will find it hard to think about something negative. Hence this helps us to stay away from depression, worries and stress.